As consulting engineers specializing in applied mechanics, we obviously need a good grasp of the governing physics, as well as effective tools to put it into service. In the absence of computers, experience and educated intuition were the key elements when deciding what parts of a problem to ignore without losing its essence in order to make analysis possible. A very difficult, often impossible, task for many problems. Computers enabled a different approach. Faster operations and large storage made it possible to deconstruct a hard problem into many simpler, repetitive ones, which computers excel at solving. By 1980, Principia had developed a rudimentary, explicit Lagrangian code, PR3D, able to solve dynamic, non-linear, 3D problems. The initial development funds came from Electrowatt in Switzerland and Kraftwerk Union in Germany, and the focus was on studying aircraft impact on nuclear power plants. Abaqus had started business slightly earlier, in the US. The history of its development and evolution, recently recalled by NAFEMS, makes enjoyable and instructive reading. As an aside, our first encounter with Abaqus was in the early 80s, bidding for analyses of pipe-on-pipe impact for the then National Nuclear Corporation in the UK. And we are exceedingly proud to say that we won that time. But the rate of development of PR3D and Abaqus were very different and there was no way that we could keep up. For us, the main problem with Abaqus at the time was its lack of an explicit solver, which was essential for the impact and wave propagation problems on which we concentrated. On the other hand, apart from its far slower development, the explicit solver in PR3D forced us to handle slow and static problems by dynamic relaxation. 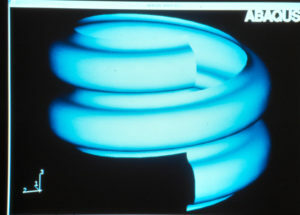 By 1988, the die was cast: Principia became Abaqus’ first user, and also first agent for the code, in Spain and Portugal. 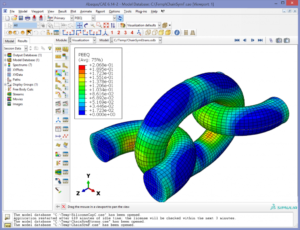 We still had to deal with fast dynamic problems using PR3D or, at times, DYNA3D, but Abaqus became our main tool. Incidentally, HKS at the time had some curious limitations of its own: we were first in the world to produce an Abaqus brochure, HKS reckoned that a good product would sell by itself. 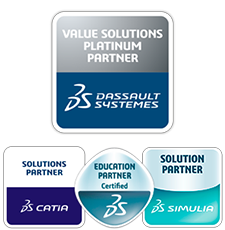 It is now 30 years since we took that decision and we have lived through many changes, not least the corporate transitions from HKS, to Abaqus, and then to Dassault Systèmes, of which we are now a Platinum Partner, distributing not only Abaqus, but also other SIMULIA technologies, such as fe-safe, Isight, Tosca, Simpack, XFlow and even other Dassault brands like CATIA. Abaqus has incorporated endless new capabilities, keeping up with new developments in the field. And the code is able to talk to many other software packages with complementary capabilities, enhancing their combined potential. With the benefit of hindsight, we now realise that 30 years ago we made an excellent decision. We have improved our understanding of the relationship between engineering consultancy and software development which, if appropriately handled, can result in many synergies that greatly benefit developers, users, consultants, and customers.